I ladies am plus sized and adore all things dark, punk and rocker. We don’t share much pics of ourselves because we like to focus more on bringing our readers Faşhion info and tips. We also feel there are enough style bloggers out there…that being said I (Eva) am a size 16 and average height..while my Blog partner (Yvette) is a size 4-6 and a little above average height. Just in case anyone was curious lol.. If your like me and love looking cool and badass then check out these Fall pieces I am putting together all under $50! 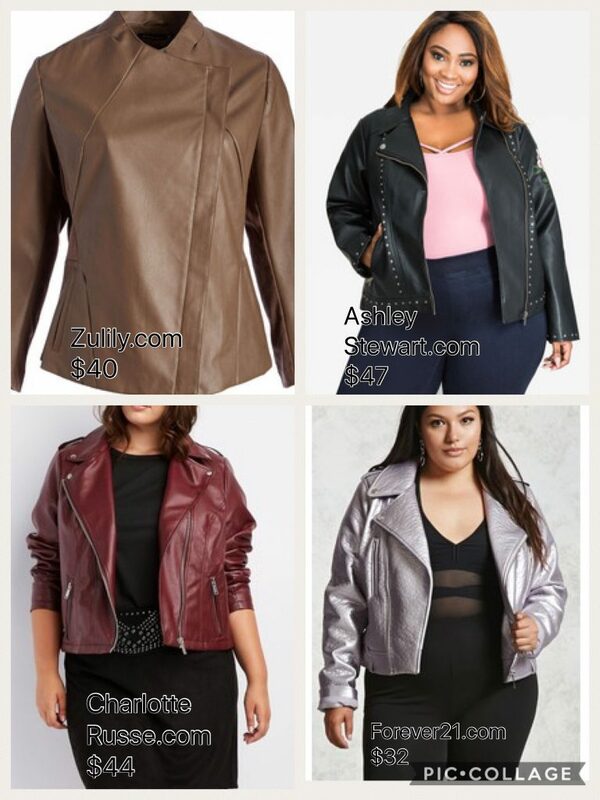 Lets start with the moto jacket! I love a good moto jacket as it instantly adds a badass cool vibe to anything you throw over it! You can’t go wrong with this staple in your closet.. The updated versions now come in pastel and other colors as well as have embroidery and studs.